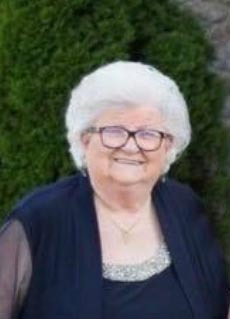 Else B. Davis, 80, of Radcliff, KY passed away Wednesday, November 28, 2018 at Hardin Memorial Hospital, Elizabethtown, KY with her family by her side. Mrs. Davis was a member of St. Christopher Catholic Church, Radcliff, KY.
Three children, Tommy Davis of Radcliff, KY, Patsy Myers (Sam) of Elizabethtown, Tim Davis (Tammy) of Radcliff, KY; eight grandchildren, Brittany Smith, Michael Davis, Samantha Myers, Nick Myers, Avery Davis, Connor Myers, Sarah Cardwell, Courtney Cardwell; 9 great grandchildren; and a host of family & friends. Visitation will be from 3:00 PM until 8:00 PM Tuesday and from 9:00 AM until 10:30 AM Wednesday at Chism Family Funeral Home, Vine Grove, KY.
A Mass of Christian Burial for Mrs. Davis will be held at 11:00 AM, Wednesday, December 5, 2018 at the St. Christopher Parish, Radcliff, KY.